You are here: Home / Uncategorized / The Love Nerds is under construction! 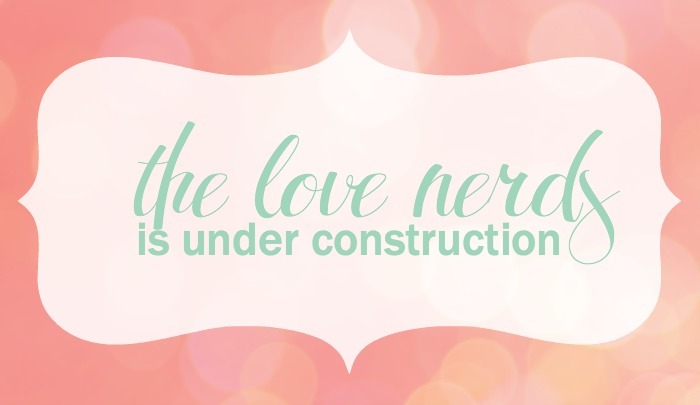 The Love Nerds is under construction! The Love Nerds is going to look a little different around here! I started the blog over a year ago and the original blog look was a good first start. It got me this far, and I am thankful for everything that has happened here and for all of you! I feel like it is time for a bit of a change though – a fresh look. My goal is to offer you the best possible experience at The Love Nerds. While it might be a little rocky at first as I implement the changes, my hope is you’ll love the final results! So please, please be patient with me all of this happens.